Millions of men and women work in the construction industry across the United States, and thousands of them are right here in or near Chicago. How hazardous is construction? From 2002 to 2012, on-the-job deaths at construction sites accounted for 19.5 percent of all work-related fatalities in the United States. Construction workers sustain more injuries than workers in almost any other occupation. About 150,000 construction workers sustain work-related injuries every year in the U.S.
Chicago’s construction workers routinely work around excavations, old electrical wiring, unreliable plumbing systems, shaky scaffolding, and a variety of other hazards. The city strictly enforces construction safety standards and has a low rate of construction-related injuries compared against other big U.S. cities, but in construction, injuries are simply going to be inevitable. WHAT ARE THE TOP CAUSES OF CONSTRUCTION SITE ACCIDENTS? If you are injured while doing construction work anywhere in or near the Chicago area, speak at once with an experienced Chicago construction accident attorney. Most injured construction workers in Illinois will be covered by workers’ compensation benefits if the injuries were sustained in the course the injury victim’s work. Every Illinois business is required to cover its employees with workers’ comp insurance. Filing for workers’ comp benefits is like filing an insurance claim – and not like filing a lawsuit. To obtain workers’ compensation payments, construction workers who are injured on the job in Illinois do not have to bring a legal action or prove that anyone was negligent. 1. Medical treatment: Injured construction workers have the right to all reasonable and necessary treatment for a work-related injury, including prescriptions and mileage for medical visits. 2. Temporary Disability: If a construction worker loses time from work because of a construction-related injury, the worker may be entitled to temporary disability benefits, which function as partial compensation for lost wages. 3. Permanent Disability: A permanent disability means the injured worker will not be able to do the same work in the future. The amount paid depends on the worker’s physical limitations, age, and earnings at the time of the injury. 4. Vocational Rehabilitation: When an injury makes returning to the same job impossible, workers’ compensation sometimes pays for vocational rehabilitation assistance. 5. Survivors’ Benefits: Workers’ compensation also offers benefits to the surviving family members of a construction worker who dies as the result of a construction site injury. IS THERE ANOTHER OPTION FOR INJURED CONSTRUCTION WORKERS? Workers’ comp offers these benefits, but if a third party – someone other than a worker’s employer and colleagues – causes a construction-related injury, that third party may be held accountable with a civil lawsuit. If you are injured in a construction accident in the Chicago area, a knowledgeable construction accident lawyer may be able to help you obtain the compensation you will need – beyond worker’s comp benefits. In construction accidents, third parties often have liability. After any construction-related injury in Illinois, discuss your rights at once with a Chicago injury attorney. Your attorney can determine if you have a third-party injury claim. If you do, your attorney can take the necessary legal action and advocate aggressively for the compensation you need. Some states like Colorado have different laws, so it is advised to speak with an attorney and get help through some Colorado Springs personal injury medical providers. WHAT STEPS SHOULD INJURED CONSTRUCTION WORKERS TAKE? 1. Report the incident immediately to your employer. Keep a copy of any paperwork that’s involved in making the report. 2. Fill out a claim form. An employer must offer an injured construction worker a workers’ comp claim form at once. Complete it fully and accurately, and make and keep a copy. 3. Act at once. The sooner you act, the sooner you can begin receiving benefits. 4. Talk to an experienced Chicago construction accident attorney. 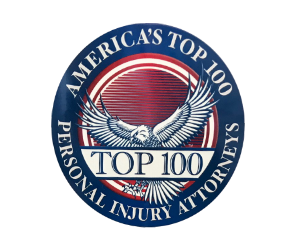 Have the attorney review your case – you may be able to file a third-party personal injury claim – and have the attorney also review your workers’ comp claim. Most personal injury and accident lawyers offer a free first legal consultation, so it will cost you nothing as an injured Chicago construction worker to learn more about your rights and where you stand legally. WHAT IF A CONSTRUCTION INJURY IS CATASTROPHIC OR DISABLING? Construction site accidents too often result in traumatic brain injuries, severe spinal cord injuries, amputation, disfigurement, and other disastrous physical harm, and the costs can pile up rapidly. When a construction-related injury is catastrophic or permanently disabling, workers’ compensation benefits help, but workers’ comp will be insufficient to cover a lifetime of medical care plus a lifetime of lost wages and benefits. When a construction injury requires years of treatment and multiple surgeries, a good accident attorney can often help an injured worker find an additional source of compensation beyond workers’ comp insurance. Third parties with liability for construction accidents might include negligent contractors, sub-contractors, equipment operators, or property owners, and the makers of defective tools and construction equipment. WHAT ARE THE MOST COMMON CONSTRUCTION SITE SAFETY VIOLATIONS? HOW CAN AN ACCIDENT ATTORNEY HELP? You may need an attorney simply to untangle the legal confusion that often arises when a Chicago construction worker sustains a severe injury. If you are injured on the job in Illinois – in construction or any other line of work – get the sound legal advice you need at once. If you’ve been injured, it’s your right. Can You Get Workers’ Compensation Benefits When You Work For A Non-Profit?